In a shock announcement, the virtually bankrupt Canadian manufacturer Bombardier said it was to cut a further 490 jobs from across its Belfast, Northern Ireland operations. The firm has recently been selling off its assets in a bid to return the group to profitability and pay off the millions of dollars it has received from the Canadian government. It employs around 4,000 people across several locations in Northern Ireland centred around Belfast. Bombardier confirmed on Wednesday, November 21st that it "reviewed our manpower requirements in Belfast" and it "confirms that we must reduce our workforce". In February, Bombardier said profits had risen by 57% but still has hundreds of millions of debts and is facing various probes into the safety parameters of its trams in Toronto and elsewhere. The timing of the announcement is yet another cruel blow to the Belfast workforce who have worked extra hours for no extra pay in recent months. 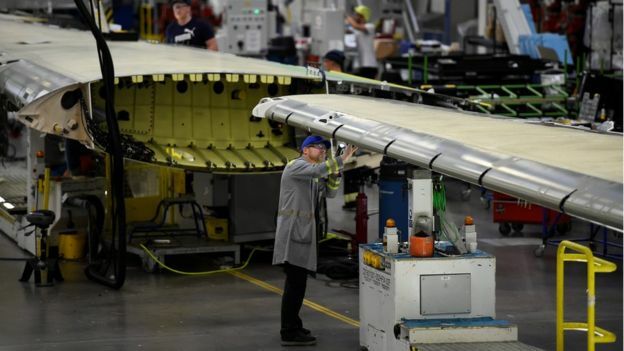 "Although these jobs will not go until February or March, this announcement is a cruel blow for the Bombardier workforce in the month before Christmas." Said Jackie Pollock, from the Unite union. Andy Allen, the MLA for the area where Bombardier's main plant is located said this was a "devastating blow" for the workforce, adding "It is difficult to overestimate the importance of Bombardier to not just east Belfast but the economic wellbeing of Northern Ireland,". The DUP's East Belfast MP Gavin Robinson hoped Bombardier would do "everything possible to minimise the number of compulsory redundancies".